The results fall into two categories. 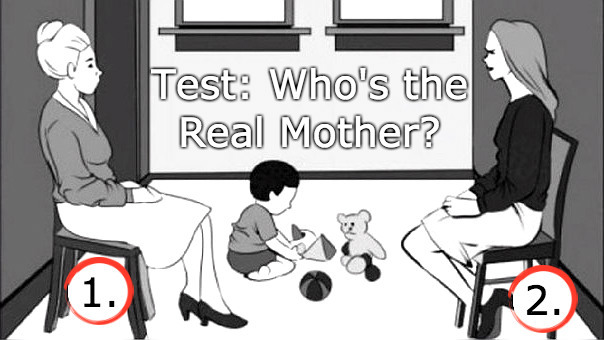 As shown in the picture, there are two ladies in a room who are sitting opposite each other while a toddler boy plays on the floor. 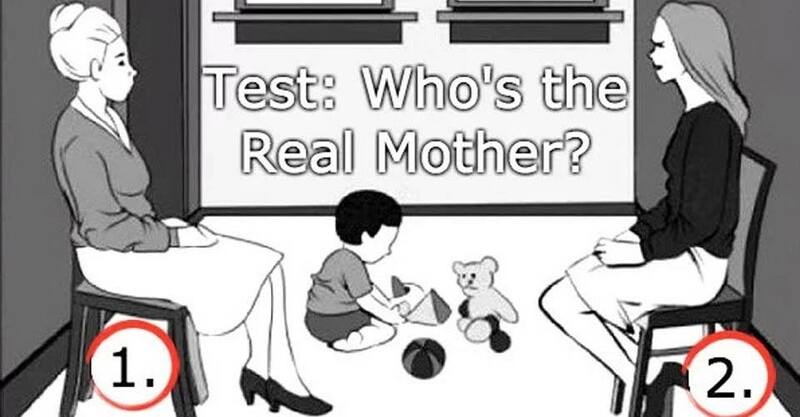 The question is this: who do you think is the real mother of the child? Although there is only one answer, whoever you choose will also give you enough clues about your personality. This is the answer that 70% of the people chose. And it is wrong. It might be possible that you weren’t really in a mental state to discern the details of the image. However, it also might be that some of the traits in you might be unique to you and you only. You are the creative one. Ever since you were little, you were the one who made the best science model or had the most beautiful dollhouse. You also had imagination on your side: It was easy for you to visualise things in your mind before they even were penned down. A young Nikola Tesla! And thanks to this, you were also highly sought out as a friend because with great imagination comes unique humour. You also have very unique taste in music and art which makes your opinion very valuable in most social situations. Also extending from the things above, you possess great goodness and actual empathy which makes your advice very helpful. You are a hard-worker and there’s a high possibility that your ambitions will be fulfilled. Perhaps you did not stand out for a superior intelligence, but your courage, tenacity, and effort have led you to succeed. To form a family is one of your priorities and we do not doubt that in the future it will be fulfilled if it has not already become reality. And last but not the least, you value money. After all it’s okay to be sad in life, but it’s better to be sad in a plush apartment with a tub of good ice cream. When toddlers play, they subconsciously face their parents as an act of asking for approval. So dear friend, you have nailed the correct answer. This proves the existence of an intelligence in you that is far superior to what you think. Your brain’s left hemisphere is highly developed. This is the region associated with logic and reasoning. Don’t be surprised now about all the times you were the first to answer a question in class. Your rationality makes you a great practical adviser and you are also sociable because you know that is an important source of experience from which you can learn. In addition to a more conventional sense of humour that is delightful, you are sincere with trust and are very good with secrets. You also seem to have a sensual streak: when it comes to romantic endeavours, you were the one who was wooed; because simply, your practicality makes your personality scintillating. Look at the breast, 1 the breast are sagging signifying a mother who has breastfed while 2 looks like a virgin. So 1 is the mother. Look at the drawings of the body language. In #1, the leg is left over right, eyes looking in front. Suggesting that her body is away from the child. In #2, the left leg is geared towards the child. The eyes are drawn like a slit becos this is an angular side profile which many has mistaken for bitchy eyes. Chose one on right because she was nearest to the child and she was watching over the child the way a mother should.